If you were anything like me last night, you opted to watch The Bachelor premiere instead of watching the second episode (this week’s “bonus” episode, if you will) of Celebrity Apprentice. So now, I am sitting down to finally watch it and to recap it for you all. Judging from the episode’s title “Nobody Out Thinks Donald Trump”, I’m thinking we’re in for a good episode! The women join the men’s team back in the suite and Geraldo questions Brandi if she really thought Kate was lazy on the last task. She says during parts of the task, yes Kate Gosselin didn’t do anything. Geraldo says some people will say anything to get a leg up in the competition. Kate and Jamie Anderson enter the room and the rest of the cast realize that means Keshia Knight Pulliam, the task project manager, has been fired. Kate comes in crying and says it was a lot harder than she thought it would be. She confides in Shawn Johnson saying, “can you believe Brandi called me lazy, that’s the first time I’ve ever had someone describe me as that.” Brandi says in her interview she just doesn’t know how Kate makes money when she’s not on TV yelling at her kids, she’s just not a business woman, Brandi says. Like Brandi is so business savvy and professional… for sure. It’s the next morning and Trump greets the teams and tells them they are going to be working with the company Neat. Their task is to create a commercial demonstrating the Neat cloud server and the Neat wireless scanner. Kevin Jonas steps up as project manager of Vortex and Kate, through process of elimination, was voted project manager of Infinity. Kevin gets right to it saying he’s going to create a timeline schedule so that everyone knows what they’re supposed to be doing at all times. He begins bouncing ideas off of Ian and Lorenzo. Kevin calls the other van which has Geraldo in it and Geraldo immediately keeps saying this phrase “Neat. Sweet.” over and over and wants Kevin to get on board with this. Kevin is frustrated with Geraldo and says that that has nothing to do with brand. The women all sit down at the studio together and it’s clear that Kate doesn’t have a clue when it comes to technology. 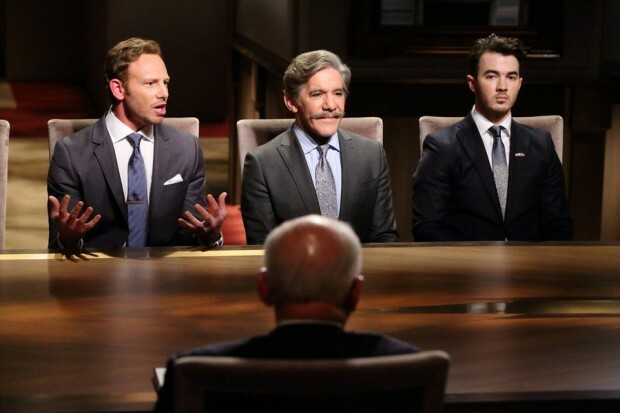 The men sit down with the executives and Geraldo completely begins to undermine Kevin. He’s talking on the phone very loudly while Kevin is trying to get information from the Neat execs. Kate’s listening to Shawn’s ideas and others, but just not getting it. She’s having a hard time picking a theme and going with it. Ultimately they went with Shawn’s idea which is a disheveled woman gets Neat in her life and suddenly everything is organized. Kate is completely absent… eating, drinking, etc, while Brandi and Leeza are doing everything. Kevin gives the men specific direction on what they will be doing. Gilbert will be the actor, Geraldo will write the script, Lorenzo the director, a few of the men went to go get props, everything seemed very organized. The women on the other hand…. Brandi and Kate are putting heads as Brandi keeps stressing and Kate’s not stressing enough. But back at Vortex Geraldo is really getting upset with all the guys. Geraldo’s ego is just out of control. He’s really disrespecting everyone. It’s almost hard to watch. The men got Mike Rowe to do the voice over in the commercial and that’s a thorn in Geraldo’s side. He’s very jealous. Commercials are done and the women present the commercial to the Neat execs and Trump’s advisers. The women go first and their commercial looks decent. The execs smile and look pleased. The men, however, showed more of the features and uses for the products. Because of that, I think the men have won. The execs were smiling and nodding their heads. Boardroom time: The men are confident that they have won. Geraldo was very complimentary towards Kevin. Kate on the other hand isn’t as confident and calls Brandi out as being a distraction. The execs had pros and cons with both teams but ultimately the WOMEN won! The execs didn’t like that the men didn’t show more of the Neat Cloud features and logo. Kevin points out to Trump that he kept trying to revise the script to add more about the cloud and Geraldo kept putting up road blocks and was distracting. Trump tells Kevin he needs to bring back two people and he chooses Ian and Geraldo. He picked Ian as a way to gang up on Kevin. The women are shouting at Kevin “don’t do that! !” and given the title of this episode I would have to agree! This isn’t going to end the way Kevin wants it to… I can just feel that. As predicted, Trump attacks Kevin for bringing Ian back. Almost fires Ian for not putting up more of a stink about being brought back in the boardroom, and doesn’t fully listen to either Kevin or Ian as to their reasons for wanting Geraldo fired. I’m not even the faintest Jonas Bros fan, but I do feel Kevin was robbed in this situation. Geraldo is an egomaniac that I hope doesn’t stick around much longer in this competition. It should be noted that Ian did a mighty fine job in the boardroom keeping his composure and staying loyal to Kevin. Even with the vein in the side of his head bulging as his blood pressure was going up, he was looking damn fine. He seems like an upstanding gentleman. 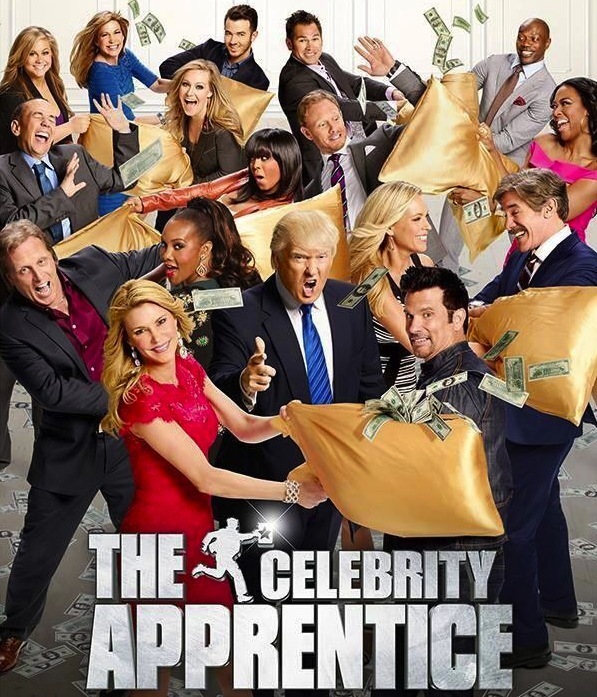 Posted by amandatalkstv on January 6, 2015 in Celebrity Apprentice 2015 and tagged Brandi Glanville, Celebrity Apprentice, Donald Trump, Geraldo Rivera, Ian Ziering, Kate Gosselin, Kevin Jonas, Leeza Gibbons, Lorenzo Lamas, Shawn Johnson.